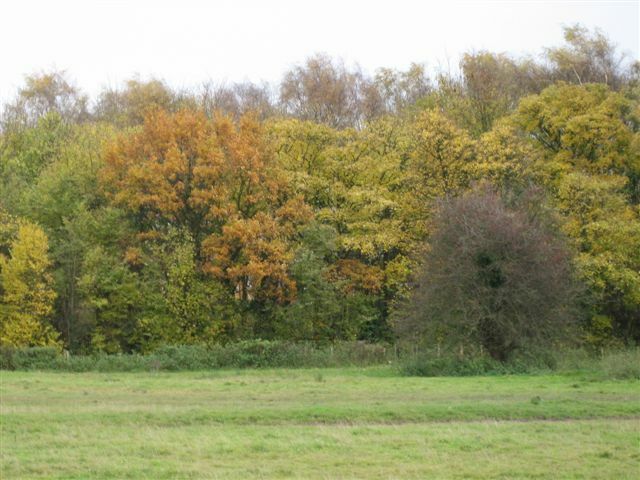 Hob Moor is principally an area of open grassland, and trees are not one of its key features. However, there are some interesting trees around its borders. The reason that there are no trees in the central part of the moor is not just historical – the ground nesting skylarks and meadow pipits will not breed near tall trees where predators can perch and see where their nests are. The boundary hedges of Hob Moor are well-established but most of the trees around the edges of the moor are more recent. Since 1982 groups of trees have been planted to increase the attractiveness of the area. 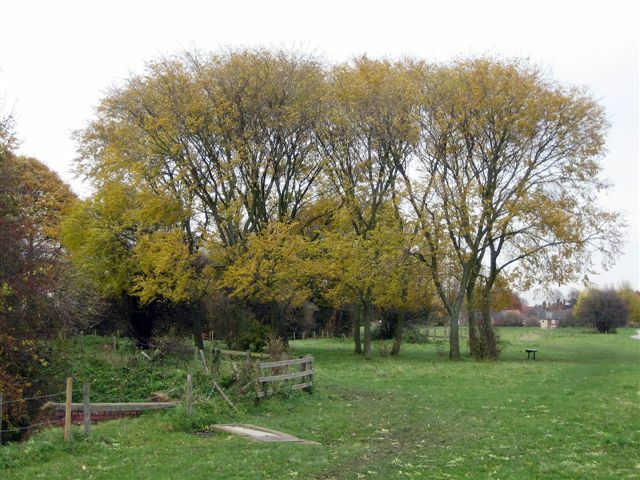 These so-called “amenity” trees, although not in keeping with the traditional pasture of Hob Moor, are still of interest. At the Holly Bank access there is a large beech tree. In the 1950s there was an avenue of at least five beeches on either side of the path. In the above photo (left) you can see the remains of another which had to be felled in 2008 as it was suffering from Meripilus giganteus, a fungal growth which rots the tree’s roots. Two other beech trees were removed during the 1982 beck management works. Slightly further along to the west there are sycamore, ash, red chestnut, horse chestnut, lime and another stand of decorative maple. There is also a beautiful Black Italian poplar. This tree is a male and has lovely catkins in late March and early April. Along the northern boundary are various single trees and groups of trees planted in 1983-4 to compensate for the trees and bushes lost during the drainage works carried out by the Marston Moor Internal Drainage Board during 1982. 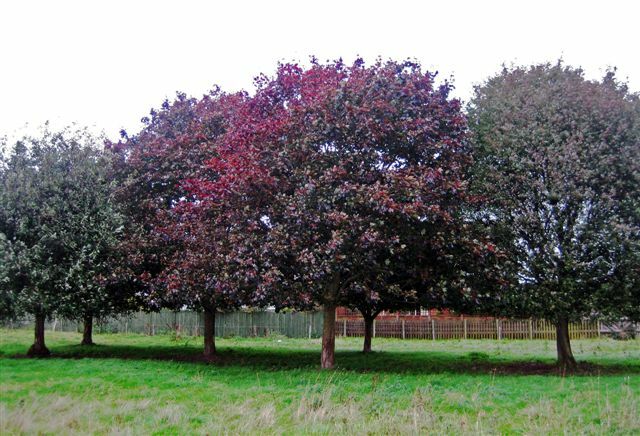 They include decorative ash (with one claret ash, which has dark red leaf-stems and dark red leaves in autumn), horse chestnut (above), a group of three decorative maple, one of which is a Caucasian maple, and a stand of eleven hybrid elms (below). These elms were developed for their disease resistance after Dutch Elm Disease had wiped out so many elms. Outside the fence along the southern boundary of Our Lady’s School, is a group of trees including several horse chestnut and red chestnut, lime, ash, Italian alder, willow, rowan, an old cherry and a Norway maple (above). The maple’s leaves turn a beautiful dark red colour in the early autumn. Nearby, at the edge of the old city boundary at the end of the central causeway, is a blackthorn growing together with an elder (below). 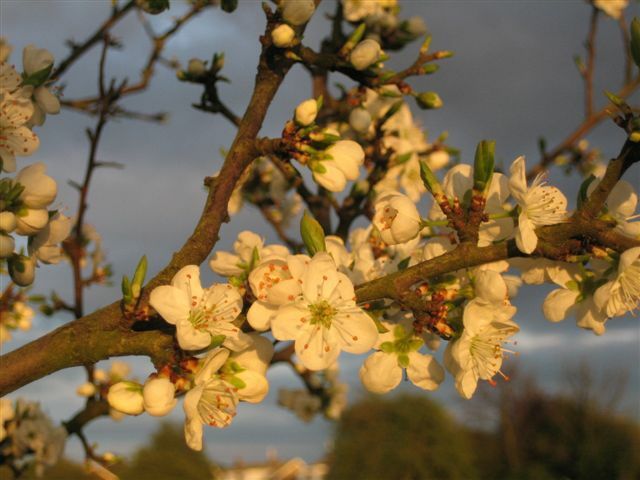 In area D, between the supermarket site and Kingsway West, and in area E, behind the Lidl supermarket site, plantings done in 2002 and 2003 included common oak, rowan, hornbeam, beech, whitebeam, ash, sweet chestnut, London plane, field maple, silver birch, crab apple and sessile oak. 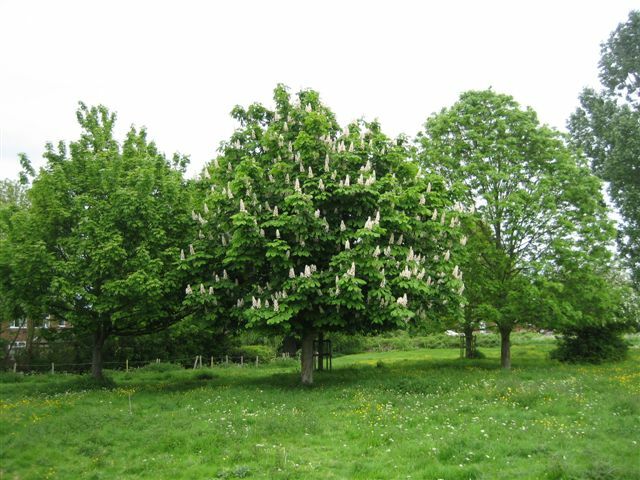 These trees were added to those already there, which included Italian alder, horse chestnut, silver maple, cherry, field maple, sycamore and ash. 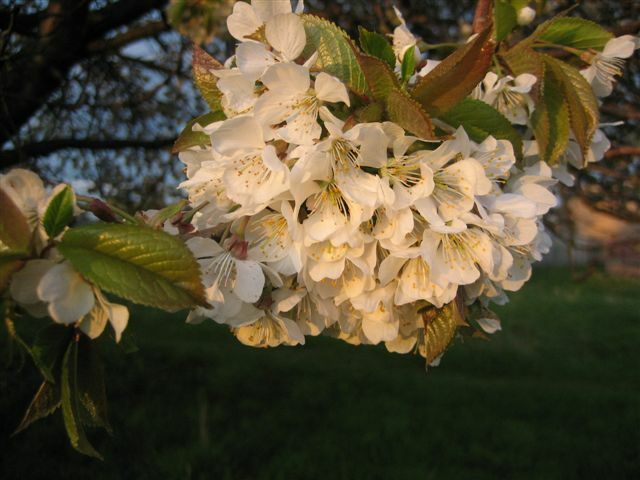 By the North Lane/Jervis Road access to Hob Moor, there is a group of ornamental trees, two of which are spectacular when in flower: Norway maple and bird cherry. Willow and rowan complete this group. Along the edge of North Lane Pasture, in area G, there is a line of field maple and one rowan. Finally, there is a fine copse of mixed trees to the east of the moor over the beck. This is not part of Hob Moor and is owned by York Model Engineers. In total there are at least twenty-five species of amenity tree. On Little Hob Moor there are yet more! In addition to the amenity trees, there a number of hawthorn trees around the moor, including one in the very centre of the moor. These are likely to have grown naturally since the war when the golf course was removed, for example from seeds carried by birds or blown in the wind. Whatever the season, there is always some aspect of the trees on Hob Moor and Little Hob Moor to enjoy: their different “skeletons” in winter; frost-covered catkins; next year’s buds already formed as the leaves fall in the autumn; the glorious autumn colours; the fresh greens and bronzes as the various species come into leaf in sequence in the spring; and in summer, one can of course sit in the shade of the single hawthorn beside the main track, near the middle of Hob Moor, and enjoy the song-flight of the skylarks.